Win A Swimming Pool Salt Water Chlorinator! 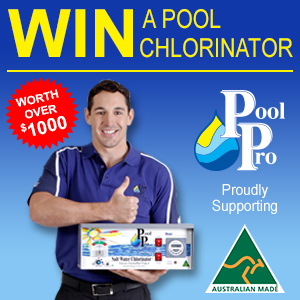 WIN a Pool Pro Salt Water Chlorinator valued at over RRP $1,000! It’s Australian made and is simply cheaper to maintain a sanitised pool! To enter, log in or sign up to the Australian Made website and answer a simple question to go in to the draw to win! Thank you for supporting an Australian Owned and Operated Company that in turn supports Australian made products and jobs for Australians. Attention Victorians! 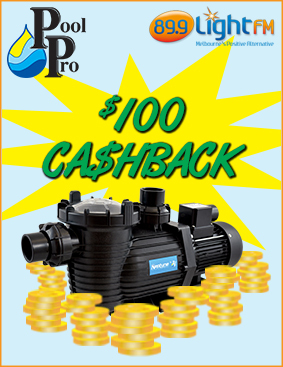 You can qualify to get $100 INSTANT CASHBACK when you purchase a Neptune Pool Pump by Pool Pro, with a 3 year Australian warranty! Tune in to LightFM 89.9 between 1 February and 28 February to listen out for the special code. 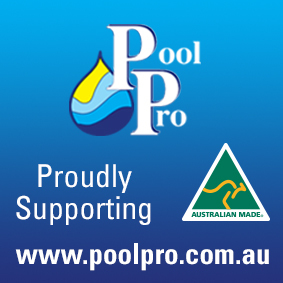 Once you have the code, simply go to www.poolpro.com.au and add a Neptune Pool Pump to your shopping cart and enter the special code. To qualify, your delivery address must be a Victorian address. You will then instantly receive $100 off the purchase of a Neptune Pool Pump by Pool Pro. Click here to check out the range of Neptune Pool Pumps. Don’t forget to tune into Melbourne’s LightFM 89.9 during the month of February to listen out for the special code! Pool Pro is a proud sponsor of Melbourne’s LightFM 89.9. 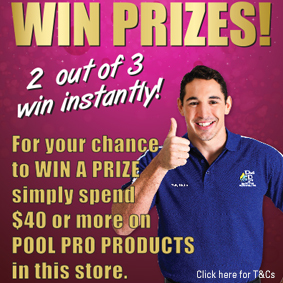 Did you know that Pool Pro stockists are currently running an in-store scratch ticket promotion until the end of February 2014? Simply purchase $40 worth of Pool Pro products in any participating store and you will receive an instant scratch ticket. 2 in every 3 tickets wins a prize! For those who don’t win an instant prize, there’s a second chance draw. Simply fill in the back of the ticket and return it to Pool Pro Head Office for your chance to win one of 10 Acrobat GT Automatic Pool Cleaners worth $499 (RRP). Please check the participating stores tab to see if a Pool Pro stockist near you is participating. SUPPORT AUSTRALIAN MADE AND WIN! Win 1 of 24 prize packs valued at over $84 each! Pool Pro is a one-stop pool supplies shop. From chemicals to salt, pool pumps and accessories, Pool Pro have the supplies you need to keep your pool sparkling! How about Fiji? Or the Gold Coast perhaps? Your flight is now boarding! 89.9 LightFM and Pool Pro, are giving you the chance to kick up your feet pool side, soak up some sun and enjoy your dream holiday. Tune in all November long to 89.9 LightFM to find out more. Tonnes of amazing holiday destinations- our shout!